As climate changes and development increases, birds are on the move. 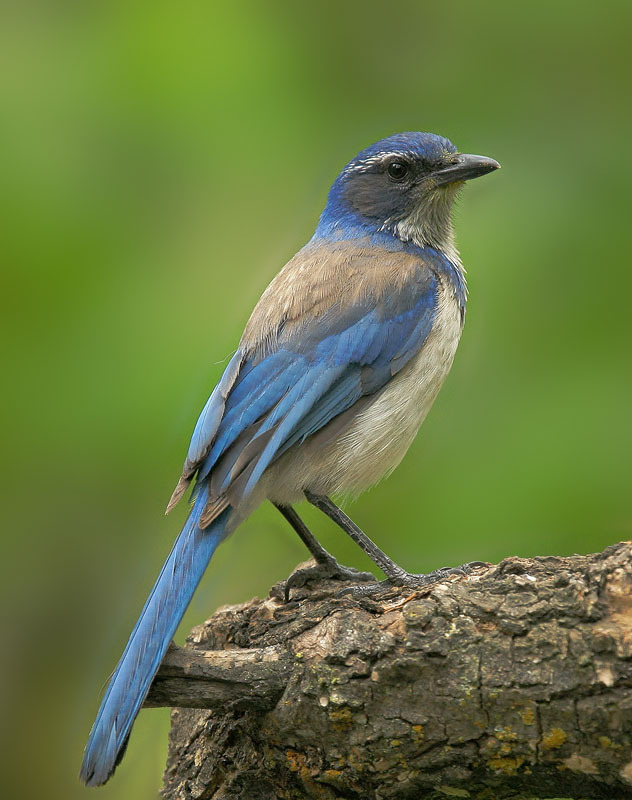 California Scrub-Jays are moving north up the Pacific coast of North America. The crafty birds join a number of other corvids, the crow- and jay-like birds, that already call the Pacific Northwest home. As climate and weather change, and human development continues, birds everywhere are on the move. Help scientists learn more about birds by reporting your bird sightings through apps like eBird. Support for Birdnote comes from Audubon Park Wild Bird Food, owned by a bird-loving family for 60 years. Info on why bird feeding runs in families at audubonpark.com. Around Seattle, where the BirdNote team is based, we’re used to hearing Steller’s Jays. Steller’s Jays are most numerous in coniferous forests, like those stretching across the Pacific Northwest. But now there’s a whole new jay on the block. As weather and climate patterns change and development spreads, birds everywhere are on the move. California Scrub-Jays, formerly known as Western Scrub-Jays, are moving steadily north, up the Pacific coast of North America. And they’ve made it to Seattle. Like most corvids, California Scrub-Jays are an “edge species,” thriving at the boundaries between habitats. Humans create lots of edges and boundaries. It’s thought that, as development increases throughout the region, these crafty jays are increasing, too. Tracking how birds move and change over time helps scientists understand why some birds become more rare, while others become more common. So share the birds you see on an app like eBird or iNaturalist. Support for BirdNote comes from Audubon Park Wild Bird Food, owned by a bird loving family for sixty years. Info on why bird feeding runs in families at AudubonPark.com. Bird sounds provided by The Macaulay Library of Natural Sounds at the Cornell Lab of Ornithology, Ithaca, New York. Recorded by Geoffrey A. Keller and William R. Fish. Seattle ambient track by John Kessler.